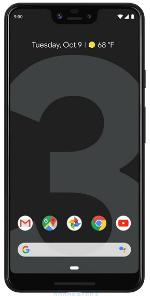 The Google Pixel 3 XL is a rugged smartphone with a 6.3-inch P-OLED display with a 1440x2960 resolution. The phone is powered by a 2.5GHz Octa-Core Qualcomm Snapdragon 845 processor with 4GB of RAM and built-in storage of either 64GB or 128GB. The device has a 12.2-megapixel rear-facing camera with 4K video recorder and a secondary 8-megapixel front-facing camera. It includes a 3430mAh battery, NFC, and a fingerprint scanner. The phone runs on Android 9.0 Pie upon release. Everything we can expect to see featured in the upcoming Pixel 3 and Pixel 3 XL smartphones from Google. With the Pixel 3 XL, Google appears to have fixed many of the issues that plagued the Pixel 2 XL, such as the blue tint and black smear problems with the display. When a company releases two variants of a flagship smartphone, one of them is usually crippled in the hardware department. Online only: Get $350 off Google Pixel 2XL. No trade-in req&apos;d.